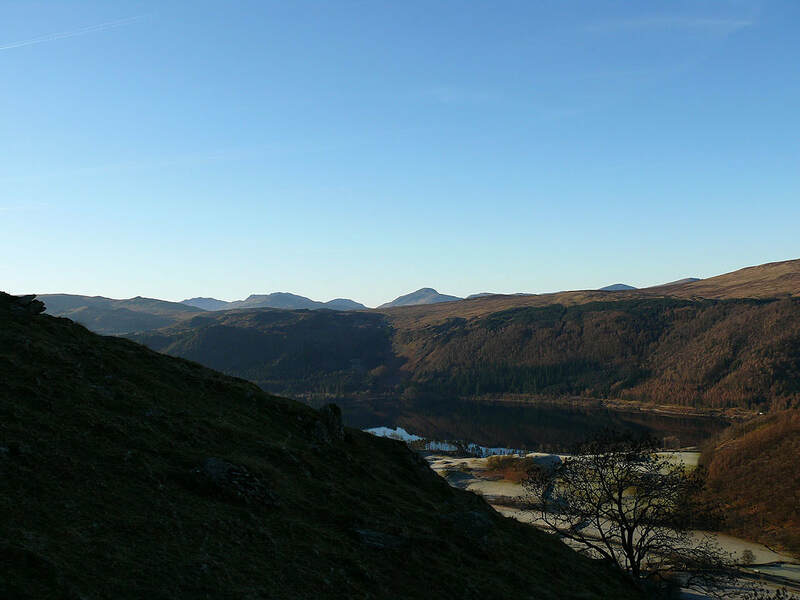 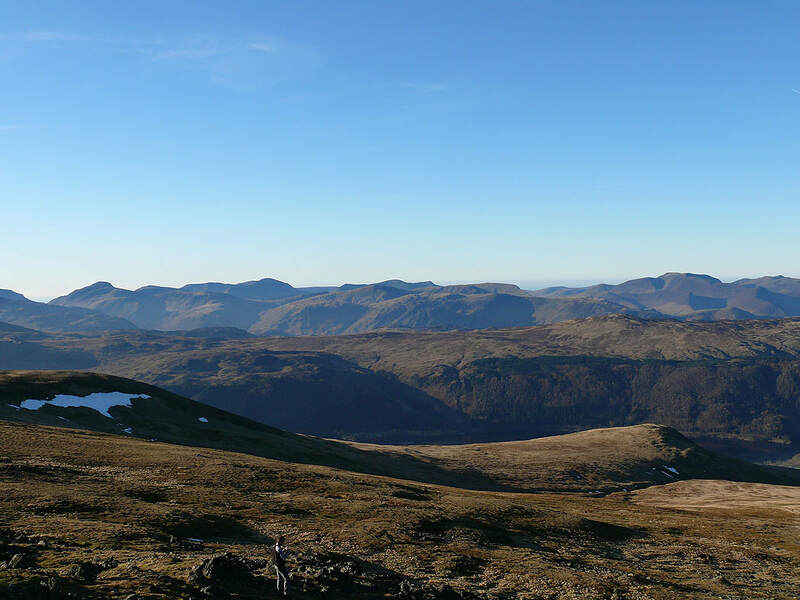 A beautiful winter's day for this walk in the eastern fells. 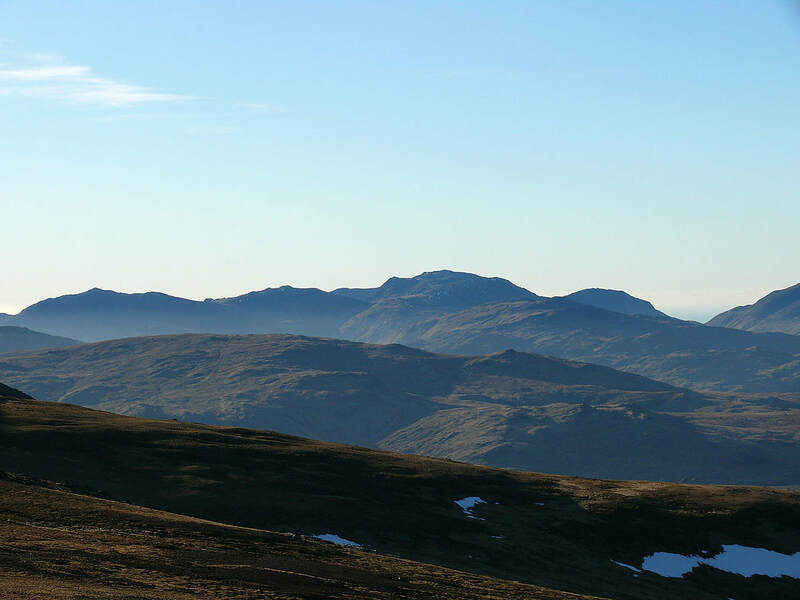 From the hamlet of Stanah in St. John's in the Vale I took the path to the Sticks Pass. 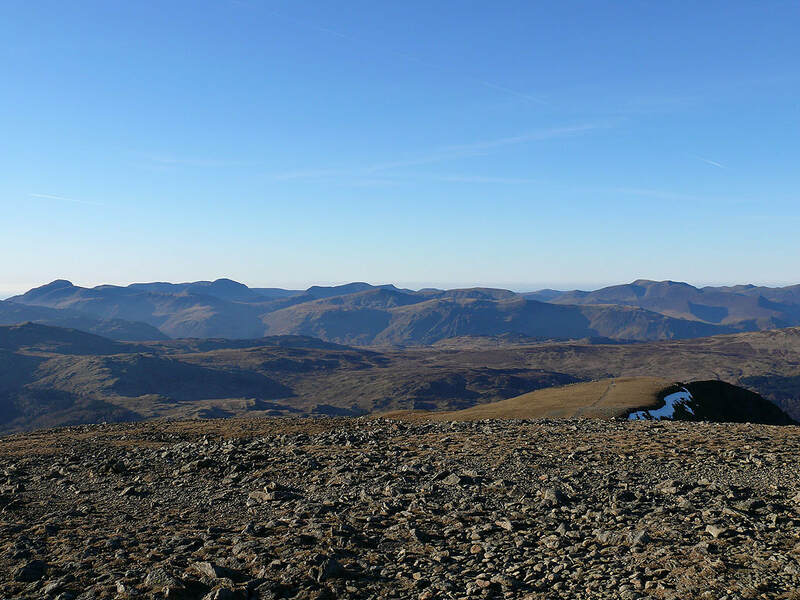 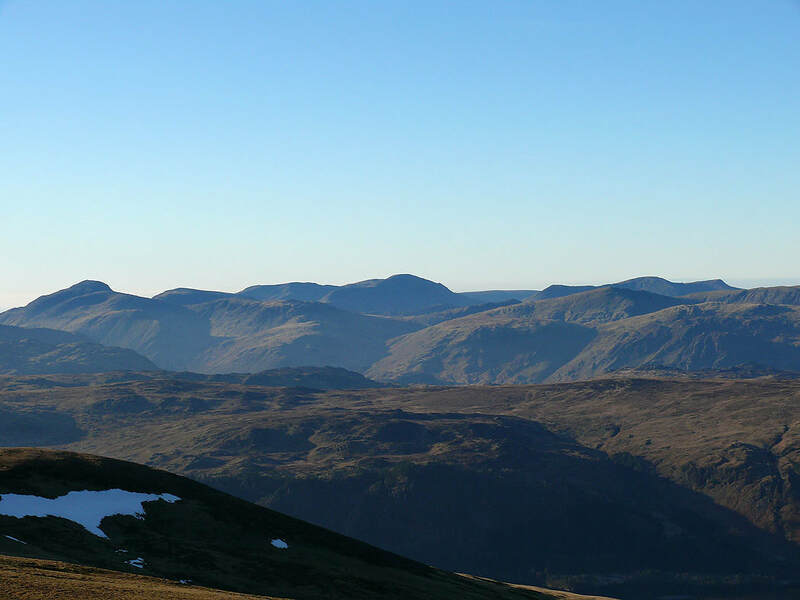 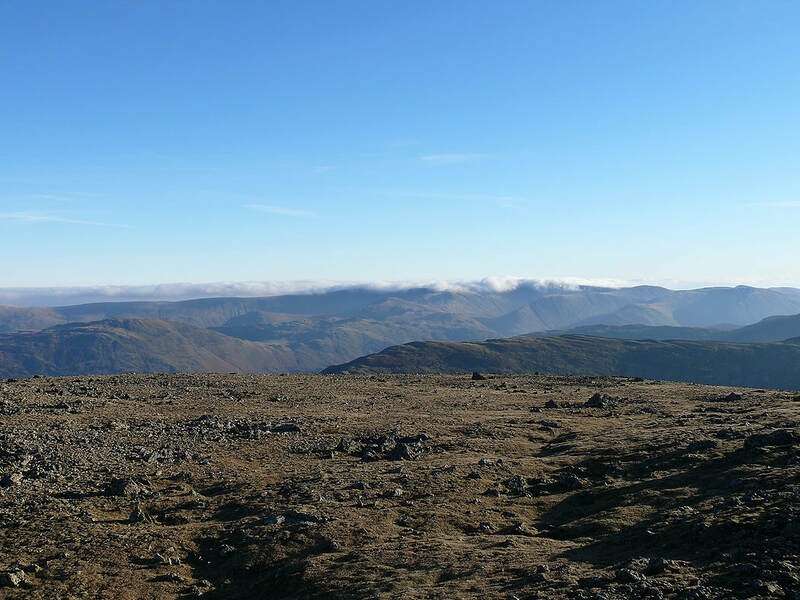 When I reached Sticks Pass I then headed south across the summits of Raise, Whiteside and Helvellyn Lower Man to reach the high point of the walk, Helvellyn. 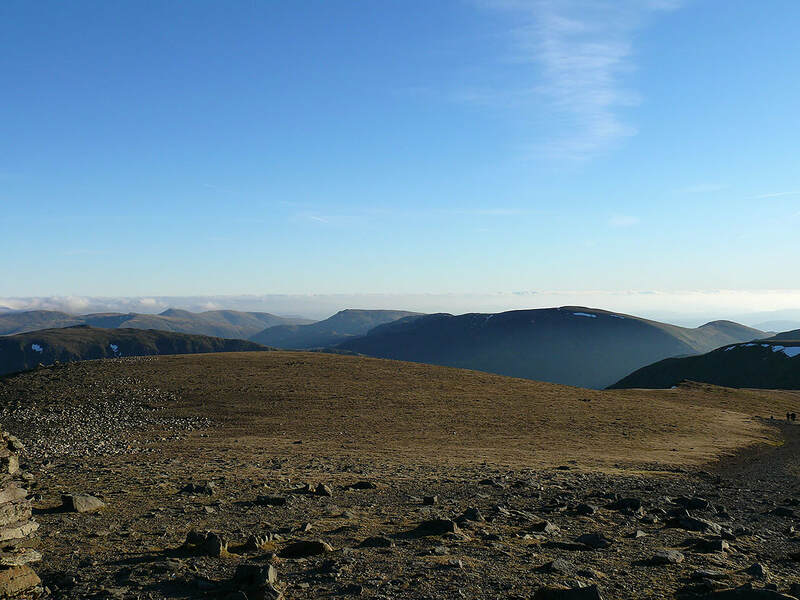 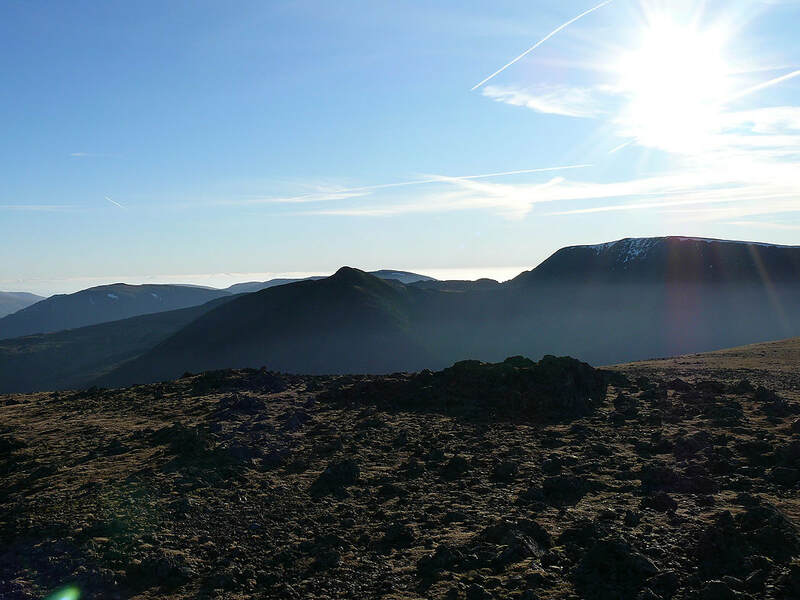 My route back was via Browncove Crags and the White Stones route to Stanah. 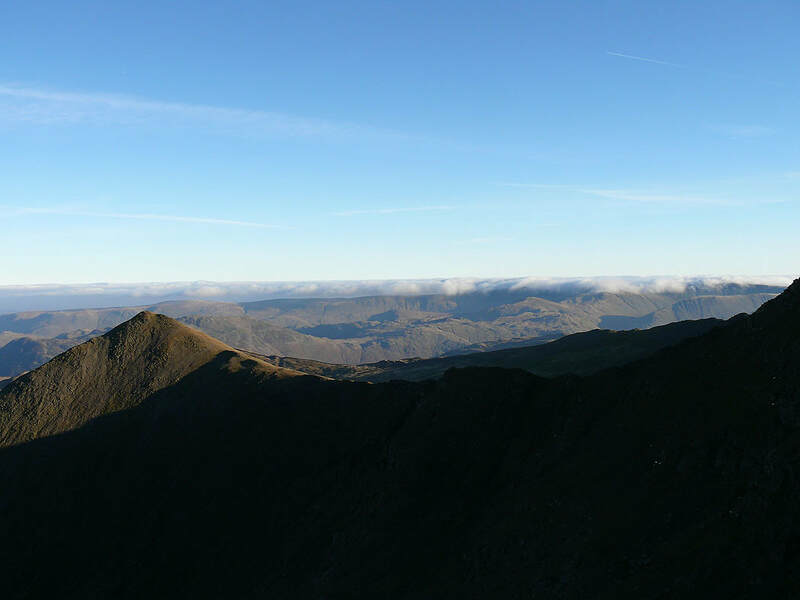 It's all clear to the west though. 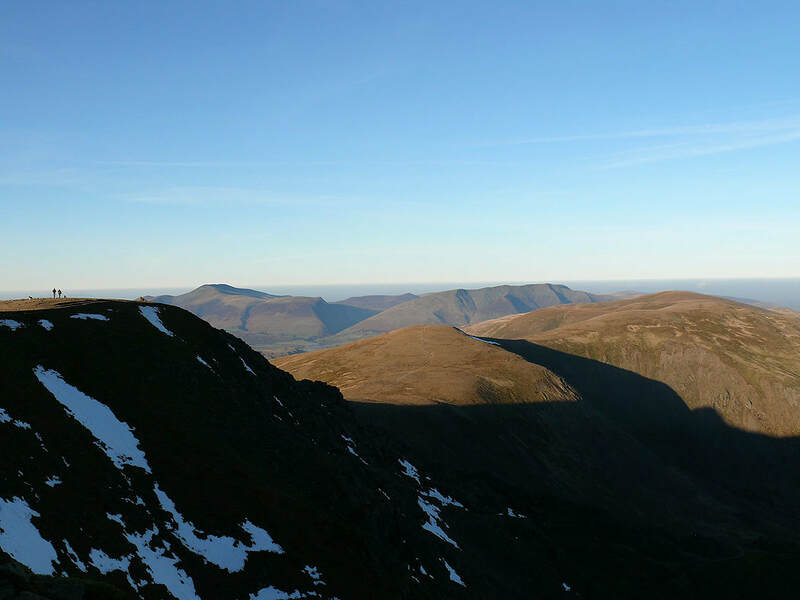 Great Gable, Pillar, the High Stile range and Crag Hill in view. 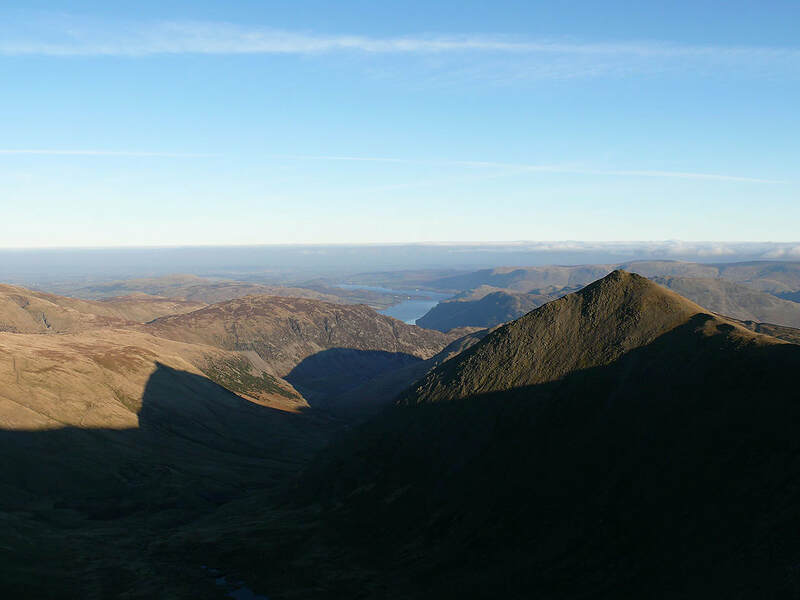 The view down Keppel Cove to Sheffield Pike and a bit of Ullswater. 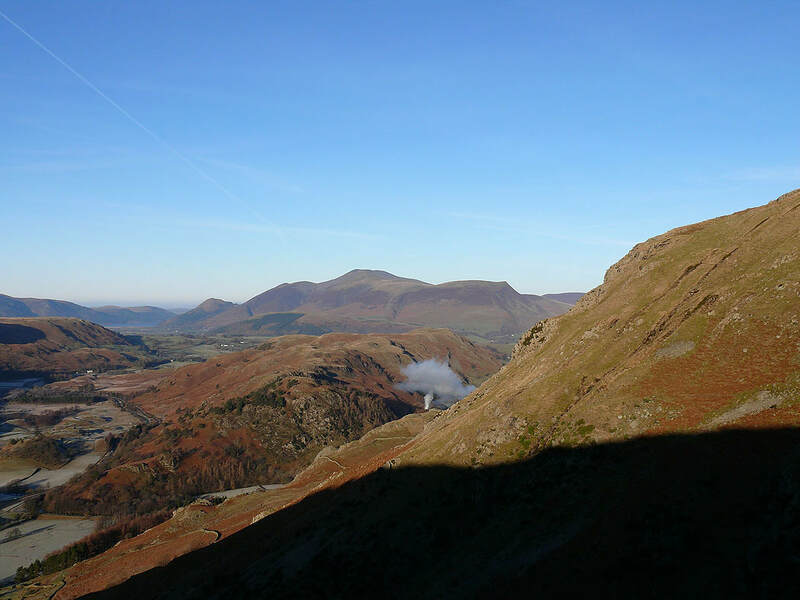 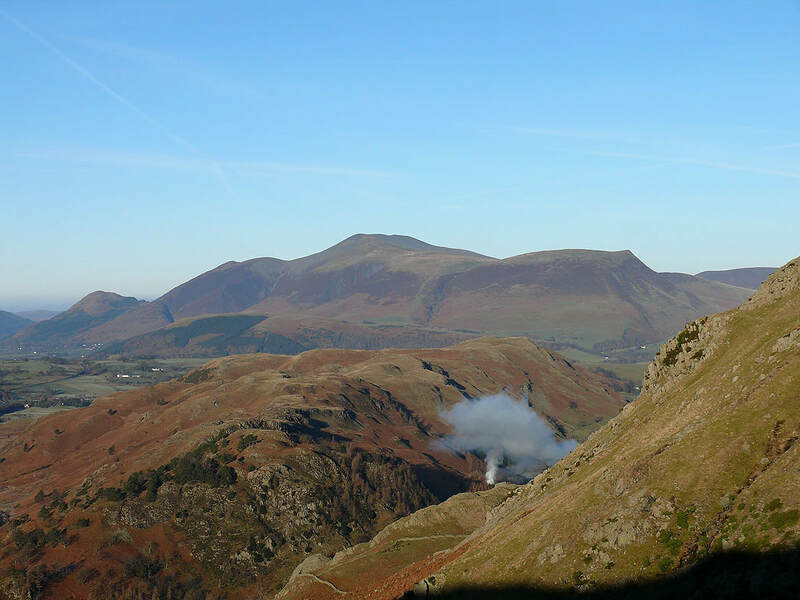 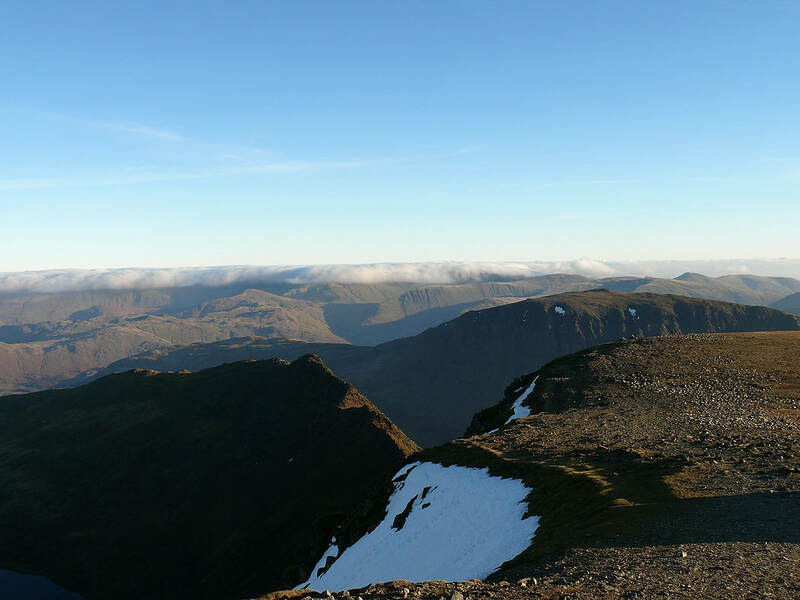 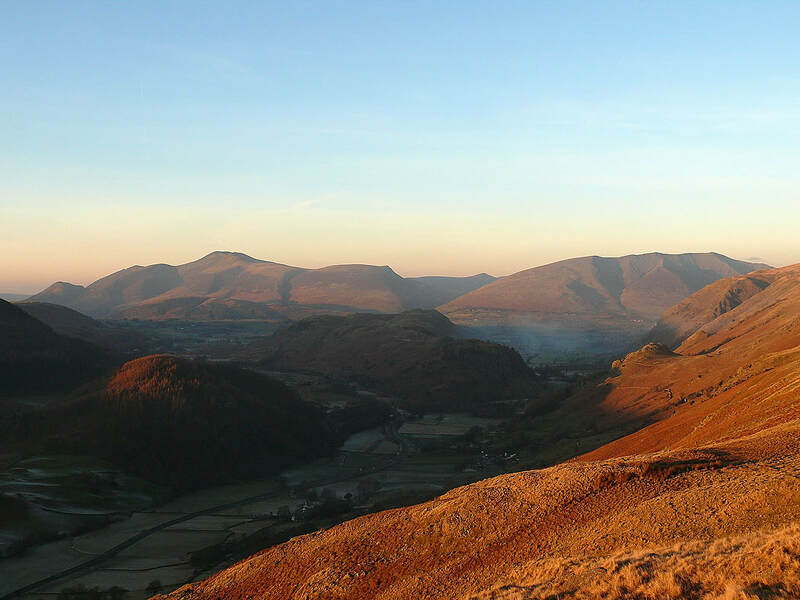 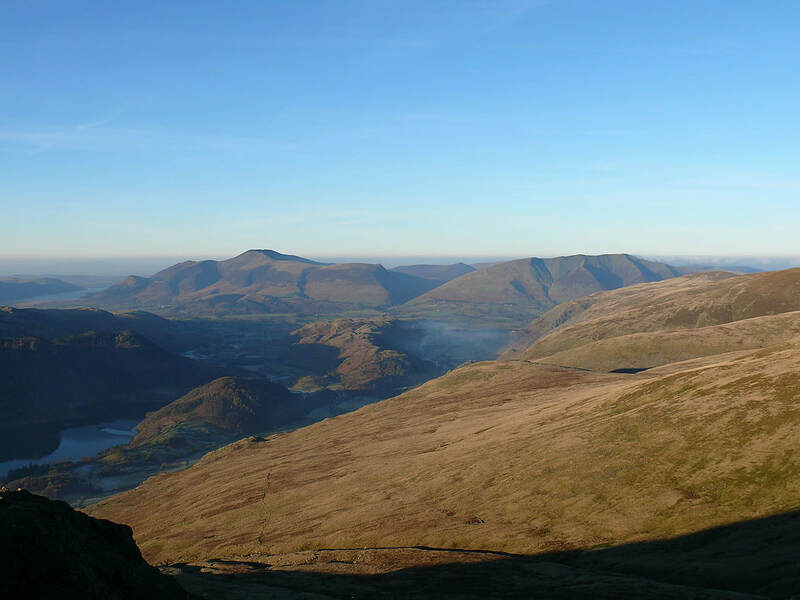 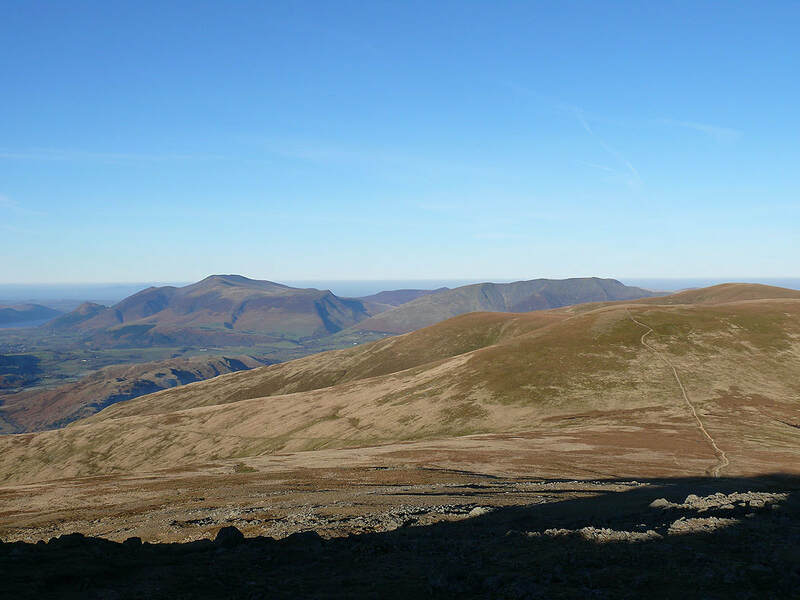 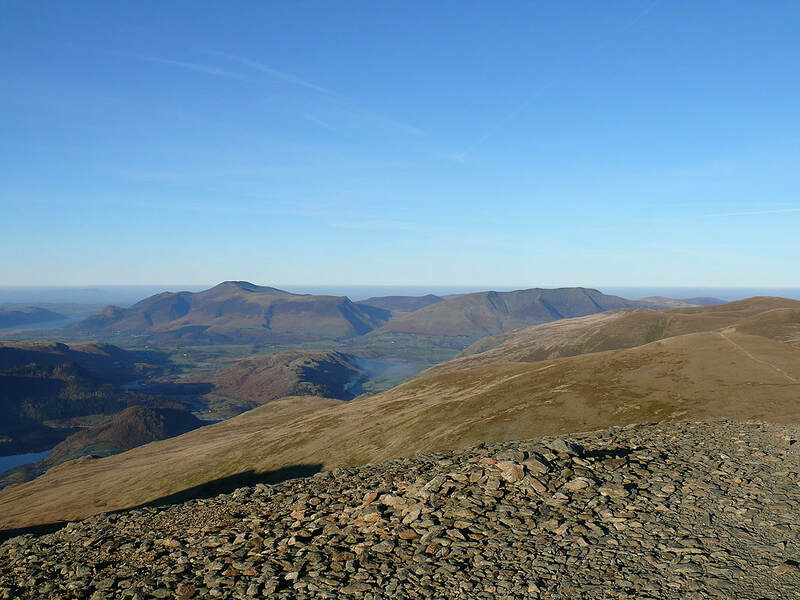 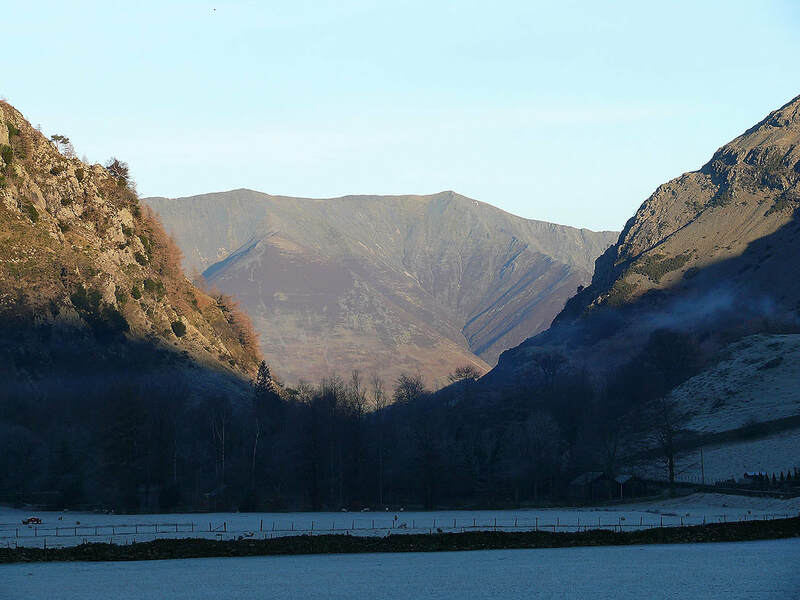 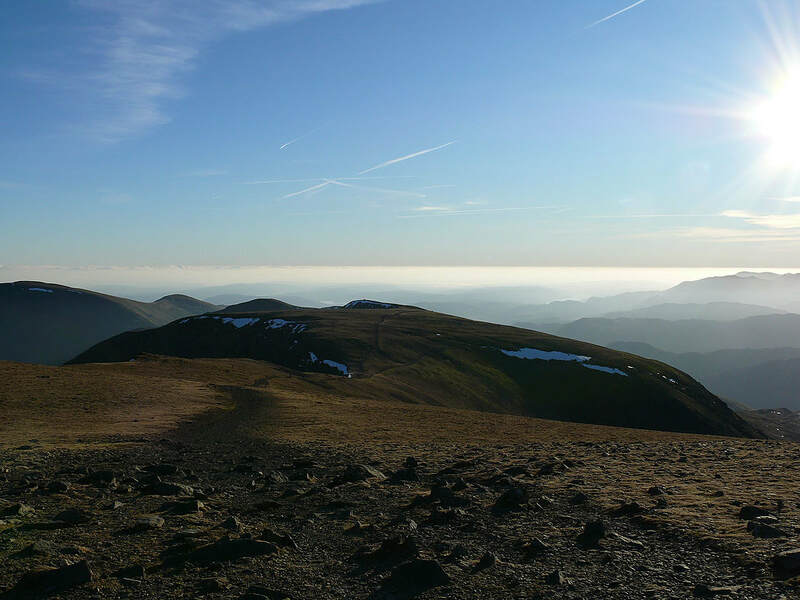 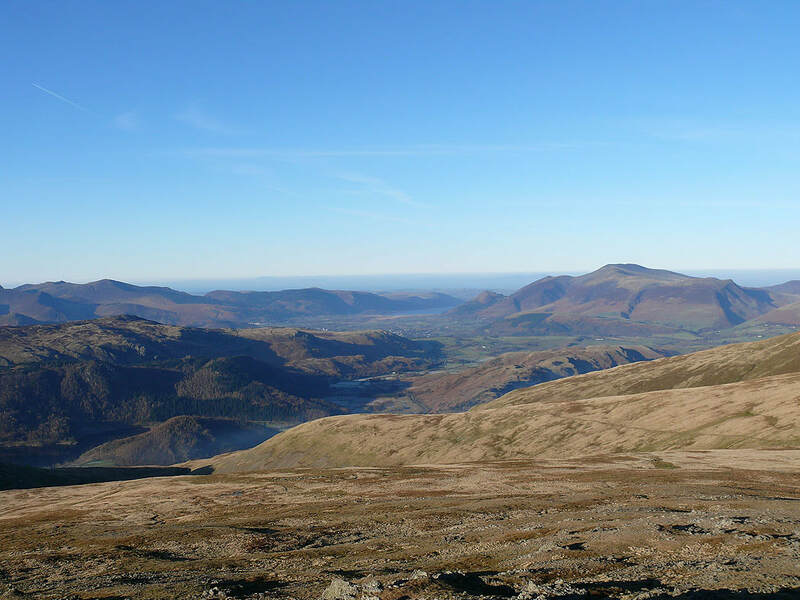 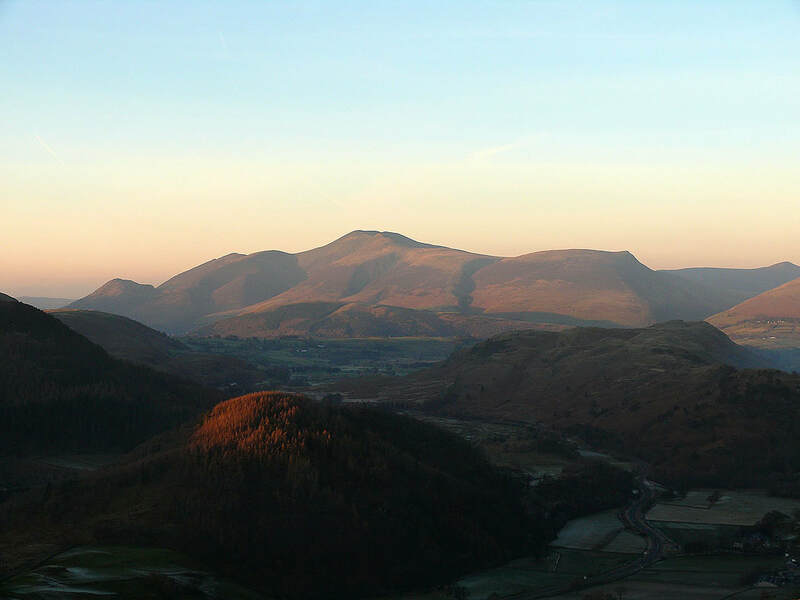 The pointed top of Catstye Cam is on the right. 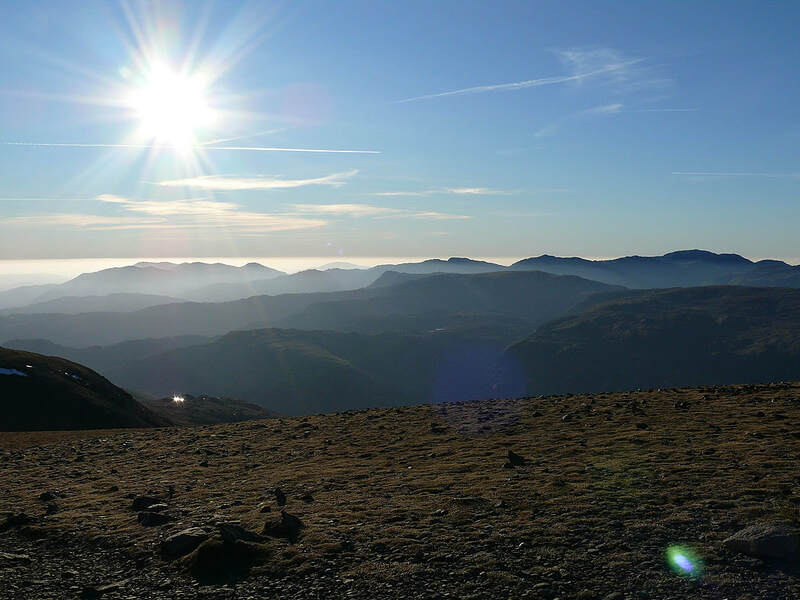 On the summit of Helvellyn. 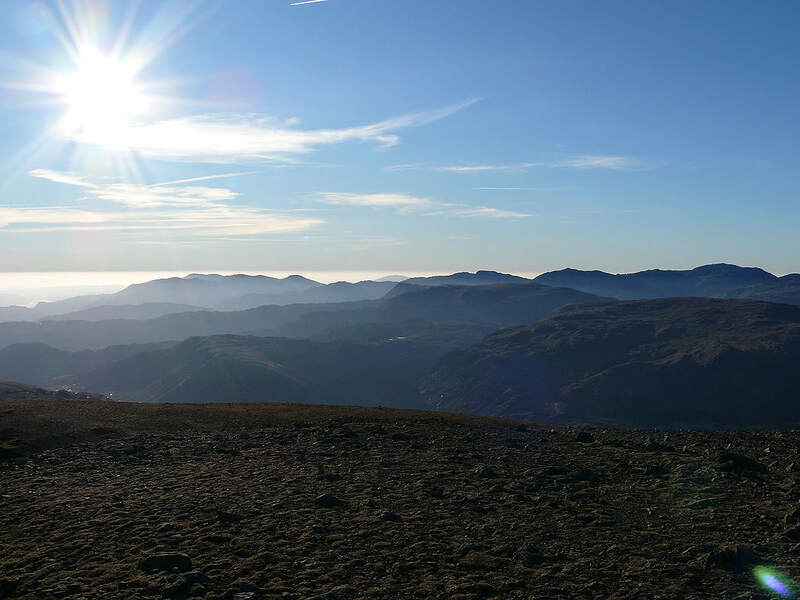 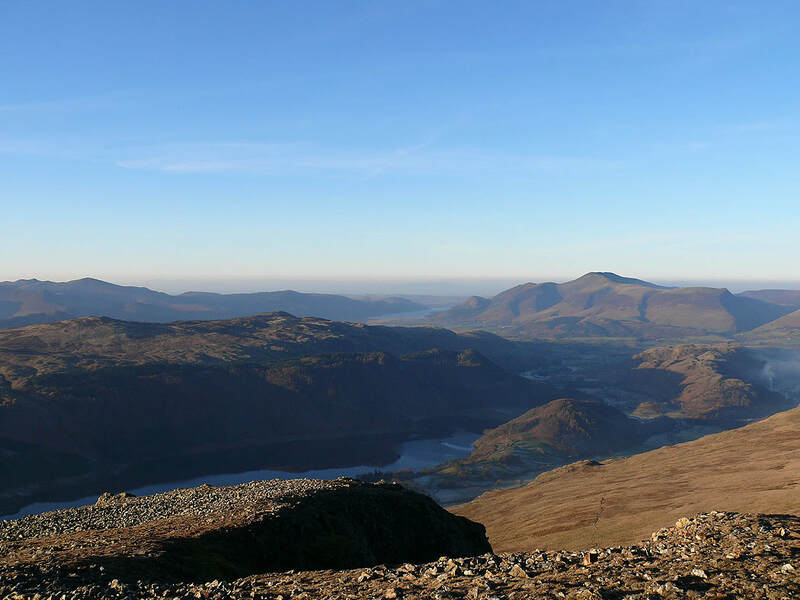 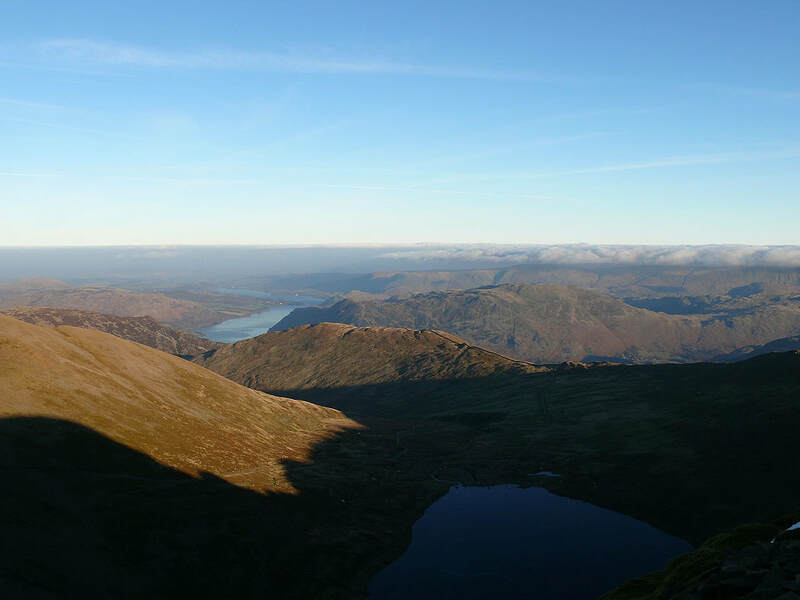 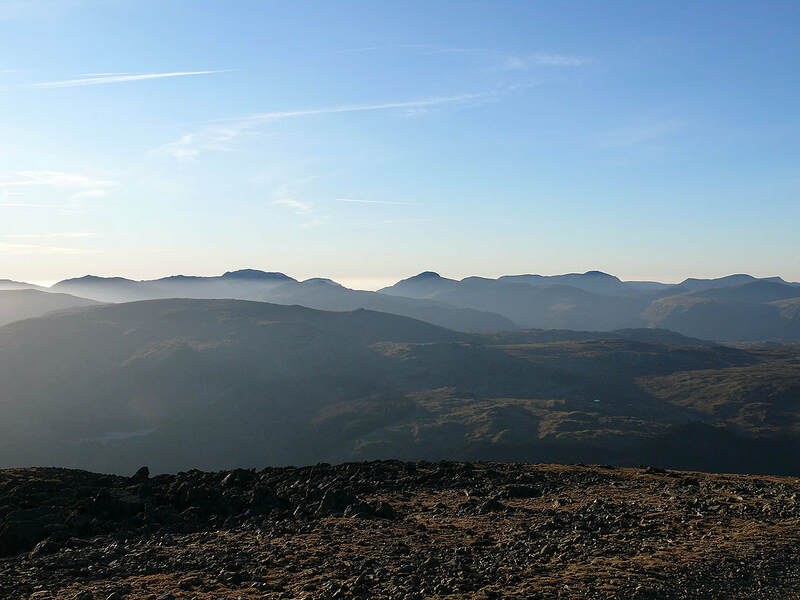 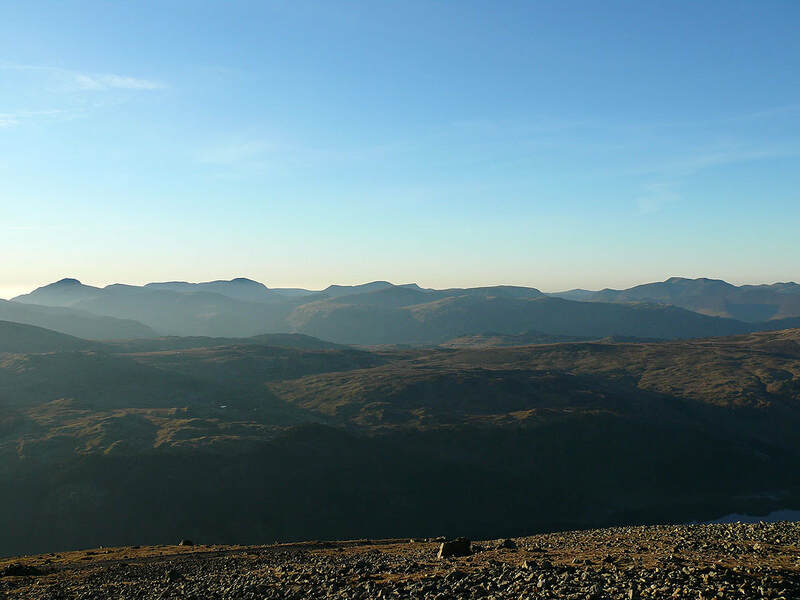 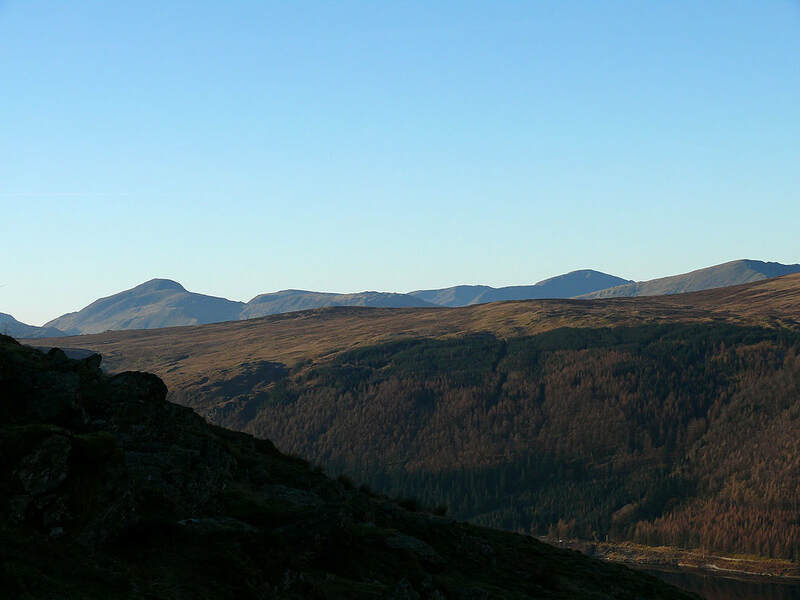 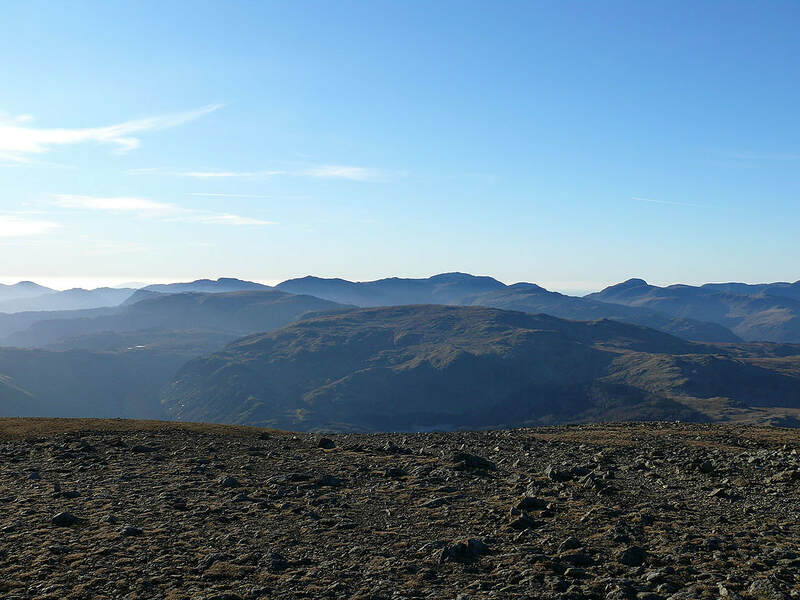 The view to the Coniston fells, the Crinkle Crags, Bowfell and Scafell Pike.